We strive to teach a new generation the practices of Traditional Chinese Martial Arts in order to promote a healthy lifestyle and improving our practitioners confidence in themselves. 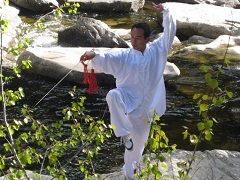 Master Yun (Yun Chao Zhang) has been studying Traditional Chinese Martial Arts since he was six years old. His first master taught him Seven Star Praying Mantis Kung Fu along with other external styles. In 1991, he became interested in internal styles, and began studying Wu Style Tai Chi Quan. In 2003, he added Shang Style Xing Yi. He has been practicing for more than 40 years. He is the recipient of numerous awards for Kung Fu, Swordsmanship, and Tai Chi Quan. For the past 20 years, he has been teaching in various cities around the world. He recently settled in Ventura, CA. Daniel Nash has been studying with Master Yun since 2016. He has over 30 years experience in Martial Arts. He holds the rank of second degree black belt in Aikido, and spent more than 15 years studying Yang Style Tai Chi with C.K. Chu in New York City. Master Yun’s Studio was founded in 2018, however, its beginnings have a foundation that reach far into history. 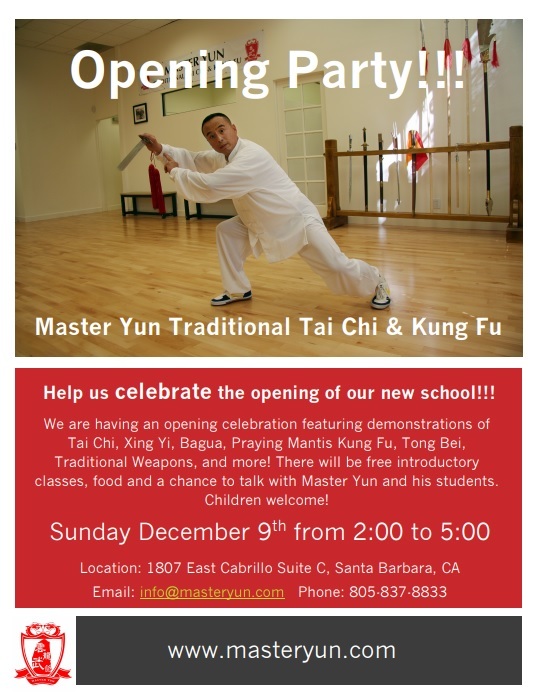 Our studio is a center for the traditional Chinese Martial Arts. Our focus is to bring these arts and traditions to our practitioners in order to enhance their understanding of their bodies and improve their overall health. Seven Star Praying Mantis, Wu Style Tai Chi Quan, and Shang Style Xing Yi Quan, all complement each other. It is a perfect balance of external and internal forms.